We have updated Faculty Websites to the latest version of WordPress, 3.6. It includes some important updates that should make working in WordPress easier. 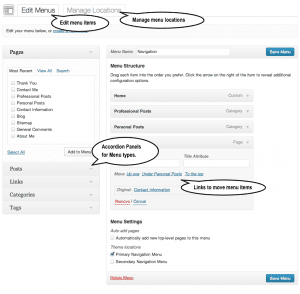 WordPress 3.6 makes managing your custom menus even easier. By default, WordPress will list your published pages in alphabetical order. Many themes offer the option of custom menus to allow you to create and manage your own menus. Menu Management now includes two tabs; one to Edit Menus and one to Manage the Menu Locations. Drag and Drop and Links – In addition to the drag and drop method of organizing menus, you can now also use the included links to move menu items. WordPress has improved their Revisions interface to make it easier to go back to a previous version of your post or page. 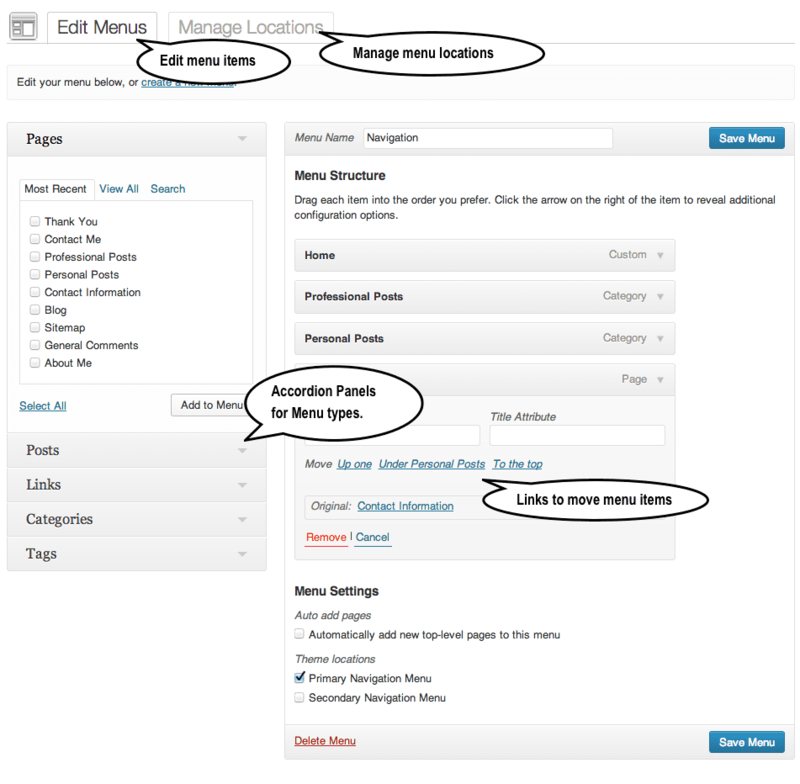 When you make a change to a saved post or page, you should see a new Revisions area in your Publish pane. Click on the Browse link next to Revisions to see the prior versions and restore another version. If you are working on a post or page and get disconnected, you now get a friendly message and can log back in without losing your changes. A message with “Session Expired” will appear in the edit view allowing you to log back in. The link will open a new tab or window. After logging in you can close it and return to your edits. This feature works well with multi-author sites. If someone else is working on a post or page, you will see a message that the post or page is locked. You still have the option of editing the post by taking it over if needed. The other person will see a message that the post has been taken over and that you are editing it. Note: he or she can take it back.